2019 Ashley Hall Summer Language Institute will be held July 22 – August 3, 2019. Join other international students for an immersive language experience in one of the most beautiful and historic cities in the United States, Charleston, South Carolina. 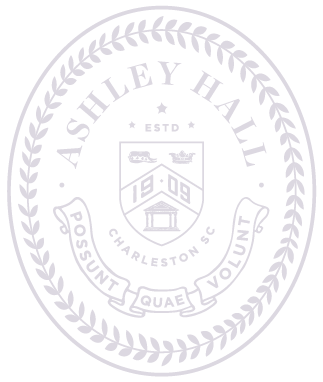 The girls will live in Ashley Hall’s Elizabeth Rivers Lewine ′54 House for Global Studies, a stately historic Charleston home located in the heart of the historic district, and enjoy all the city has to offer. Veteran Ashley Hall administrators, faculty, and staff manage the summer session, and American Ashley Hall students live together with the ESL students and assist in all areas. The curricular theme is “Careers of Women,” and in addition to daily classes on the subject, students have the opportunity to visit various local businesses and meet successful women in different industries. All English proficiency levels are welcome. Included: The program includes all meals, lodging, activities, transportation (including to and from airport), and one Oral Proficiency Interview (OPI). Students are asked to bring some extra spending money for additional food and personal shopping. Not included: Air travel is not included. Health insurance is not included in tuition but must be obtained through Ashley Hall for an additional $150 or through a US based private insurance company. See application for more details. For more information: Please contact Jeff Dionne, Director of Global Studies and Director of Summer English Language Institute (SELI), at dionnej@ashleyhall.org or 1 (843) 965-8471.